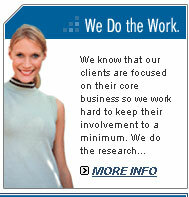 Rainbow Information Systems offers 100% risk free phone bill overspending audits for large and small telecom companies. We provide different types of telecommunications audits as well as many other consulting services, including overcharge recovery, overspending detection, investigation of billing errors, contract negotiation, and other expense management services. 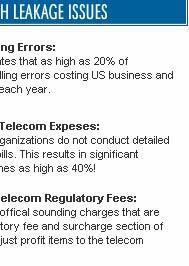 Our specialized telecom auditing services have generated hundreds of thousands of dollars for clients in telecom expense reduction and refunds/credits produced by our overcharge recovery services. 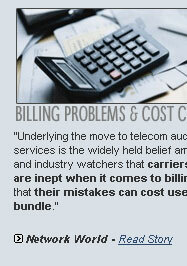 Our comprehensive phone bill audit and telecom consultant solutions help to catch countless billing errors that cost companies substantial amounts of money each and every year. 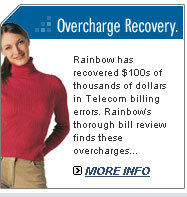 Rainbow's telecom billing analysts will even identify phone bill overcharging due to unused, underutilized, or duplicate telecom services. 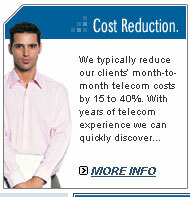 We will also offer recommendations to improve and optimize your telecom network in terms of cost and service. This might include a reconfiguration of services, updating to more cost-effective services, or the utilization of expense management tools. Busy businesses that perform their own contract telecom negotiations are at a strategic disadvantage and usually end up being ripped off in the long run. With Rainbow's knowledge of telecom vendors' pricing structures and tariffs, along with years of experience negotiating with vendors, we will typically provide much higher savings and better terms, plus with fewer contractual downsides. 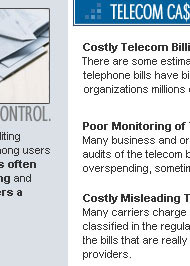 In-house telecommunication audit and consultant services are frequently ineffective because companies just don't have the extra time to create and perform a comprehensive phone bill auditing and review system. 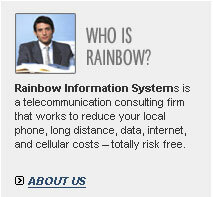 With the lightning pace of technological advances in the telecom industry, such as the merging of data and voice, constant pricing structure changes, and telecom mergers, Rainbow Information Systems can provide the necessary telecommunication consulting expertise, critical contract negotiation, and expense management proficiency to maximize the return on your telecom investment. If you are interested in effective ways to lower your phone bill, please contact our telecom auditors and consulting experts today! 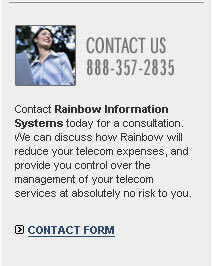 Rainbow Information Systems offers professional phone bill auditing and telecom auditing that's completely risk free.